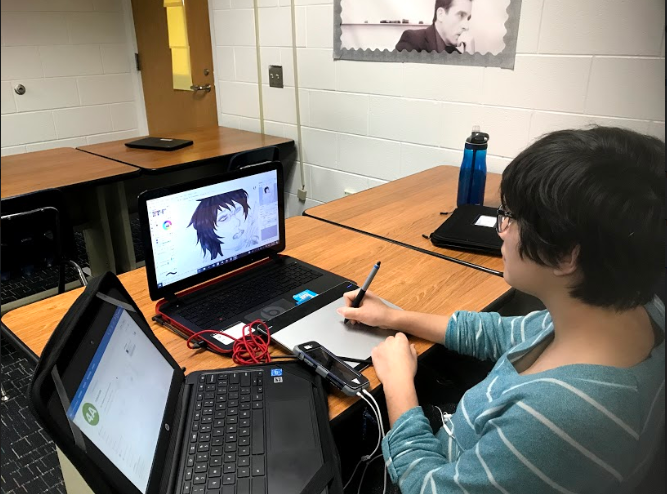 Senior Taylor Dinh draws with her tablet on her personal laptop during downtime in Christina Barnhart’s 4A finance class on Wednesday, Jan. 30. 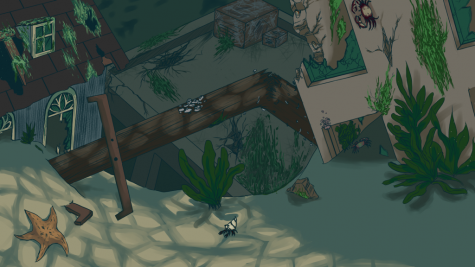 Senior Taylor Dinh recently created a video game for her senior project. Taylor also designed the whole video game from scratch. “I’m planning on going into cybersecurity, but if that doesn’t work out then maybe game design. Since I also designed the art for the game, I could also go into graphic design if all else fails. Drawing is sort of like a stress reliever, which is one reason why I like drawing so much,” said Taylor. 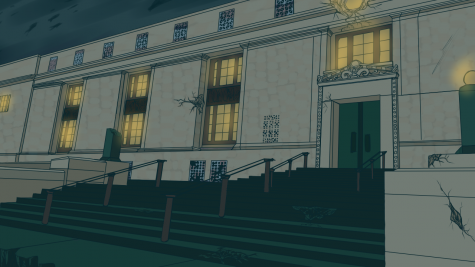 A screenshot of school doors in Taylor’s video game. A screenshot of a residence in Taylor’s video game.